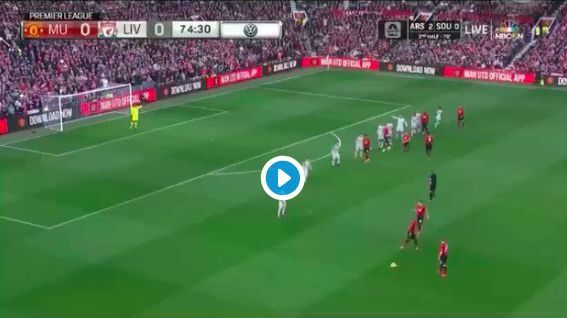 Liverpool almost conceded a shocking own-goal in the second-half against Manchester United today..
Chris Smalling crossed the ball in after a set-piece was delivered out wide, and the Cameroonian finished coolly into the corner of Alisson’s net. Thankfully, the defender’s blushes were spared by an offside flag – although rest assured – Matip had no idea play had been stopped when he committed the mistake. In fairness, it was offside – but the moment left Liverpool fans temporarily with hearts in mouths worldwide!